The Addison Jazz Choir and Jazz Ensemble join forces with a trio of accomplished jazz musicians to perform several times a year including the Brandenburg Festival. 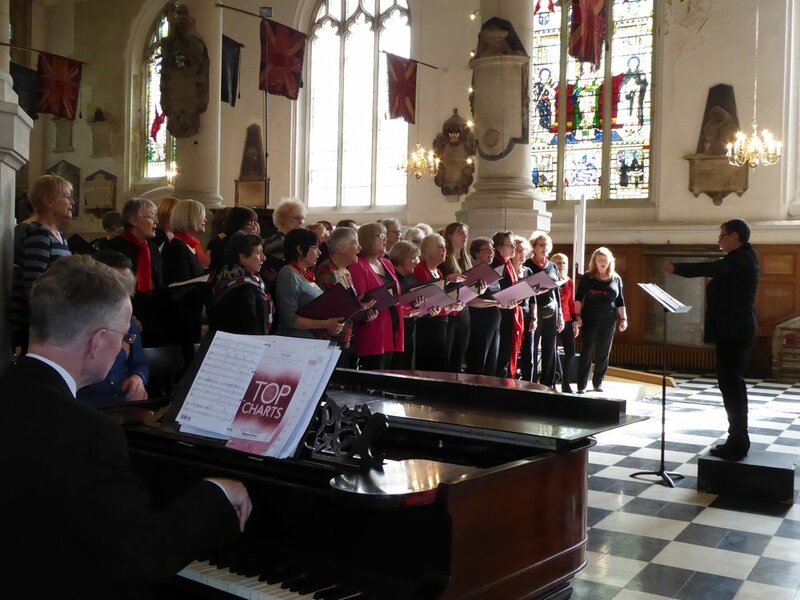 The Jazz Choir also performs in local community spaces eg Lyric Square in Hammersmith, at Westfields and for patients at Charing Cross Hospital. Our repertoire is varied ranging from spirituals, gospel, rock and roll, motown, blues, pop and contemporary song to jazz. Music including: Jazz choir songs: As Time Goes By, Chattanooga Choo Choo, These Boots are Made for Walking, The Sounds of Silence, Yeh-yeh, You Don’t Have to Say You Love Me.